Trying to find the best kitchen knives in the Philippines is often a challenge as the market seems to be inundated with cheap, poor quality China made kitchen knives which at best will last only a few months. When you happen to find a good quality knife, the price tends to be through the roof and maxing out your credit card is probably not the best idea. 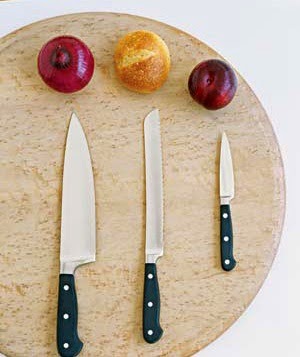 So if you are on a tight budget (like most of us are), you only really need two or three kitchen knives. Forget about those expensive kitchen knife sets. In all honesty, you will only end up using about three of the knives anyway. A Paring Knife: a paring knife is basically a small knife that is used for detailed intricate kitchen prepping tasks. It can also be used for peeling vegetables and fruits – a must have kitchen knife! A Chef Knife: a chef’s knife is probably going to be your most used kitchen knife and can be utilized for almost anything like; chopping, dicing, trimming, and slicing, and so on. You name it; the chef’s knife is probably going to be able to tackle it. If you cannot find a good chef’s knife, the Santoku knife is a great Asian alternative to the western styled chef knife. 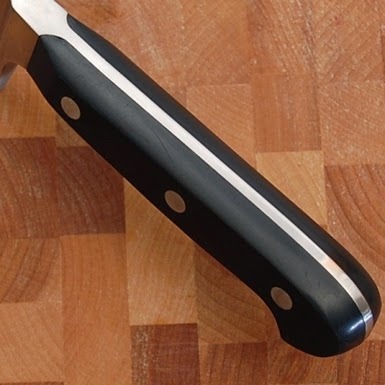 A Serrated Knife: a serrated kitchen knife is also a must have. It can be used for more than just cutting bread. A good quality serrated knife is great not only for bread but also for slicing fruit, vegetables and if you ever find yourself struggling to cut perfectly thin slices of tomato or other veggies, try using a serrated knife – you can thank me later. Trust me when I say all you need are three of the best kitchen knives, of course you can get more if and when your budget allows but for starting out, three is all you need. Also, when choosing a good quality kitchen knife, make sure that the blade is made out of stainless steel and ideally, the blade runs all the way through the knife handle (a full tang). Having a full tang not only gives the knife more control but also gives added durability and strength plus shows that the knife is of higher quality. So when it comes to finding a good quality kitchen knife in the Philippines, shop around and pick out the three above kitchen knives. Don’t fall prey to the annoying department store salesmen trying to sell you a full kitchen knife set. Not because it’s the best but because they get the most commission from each sale.